Clint Bowyer wins 2nd race of the season and Cup breaks for the weekend, Christian Koelle with TheRacingExperts.com joins the show LIVE from Iowa Speedway. 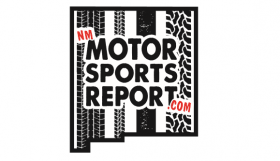 Brooklyn Green is on assignment at Southern New Mexico Speedway, Where is Spencer this weekend? You will have to tune-in to find out! Al Unser Sr & Al Unser Jr, racing in their blood as family & competitors, RJ Lees covers the Event Calendar presented by the Unser Racing Museum.